When I stay in Cambridge, I regard Saint Bene’t’s Church on Bene’t Street, opposite the Eagle, as my parish church. It is a short, brisk walk from Sidney Sussex College, and I am welcomed regularly at both the Sunday Parish Eucharist and at the early morning weekday celebrations. But there are many churches and college chapels in Cambridge where I feel welcome. 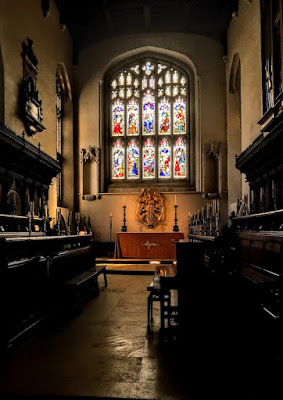 In the past, I have preached in the chapels of both Sidney Sussex College and Christ’s College, I have been at both the Sunday Eucharist and Choral Evensong in King’s College, and at the mid-week Eucharist in Westcott House. 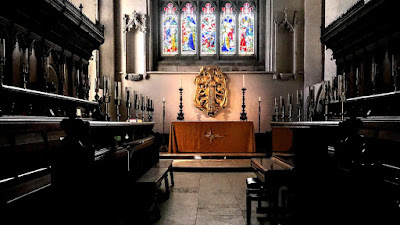 I have visited the chapels of most Cambridge colleges, and have attended the Sunday Eucharist in Little Saint Mary’s, Trumpington Street, the best-known Anglo-Catholic church in Cambridge. However, I had only occasionally visited the University Church or Great Saint Mary’s Church. So, it was interesting to spend some extra time in this church during visits to Cambridge this summer, on the way to and from the USPG conference. Saint Mary the Great stands on Senate House Hill, opposite the Senate House and close to both King’s College and Gonville Caius College. It is known locally as Great Saint Mary’s or simply GSM to distinguish it from Little Saint Mary’s on Trumpington Street. Cambridge is part of the Diocese of Ely and has no cathedral. So, Great Saint Mary’s serves not only as a parish church but also as the university church and has a role in the city similar to that of a cathedral. Great Saint Mary’s is one of the 55 churches in the Greater Churches Group in the Church of England, which includes churches that have a cathedral-like ministry. They include Bath Abbey, Saint Martin in the Bullring, Birmingham, Saint Martin-in-the Fields, London, Christ Church, Spitalfields, and Saint Mary the Virgin, Saffron Walden, the largest parish church in Essex. Great Saint Mary’s, a Grade I listed building, was designed in the Late Perpendicular style and has been at the heart of Cambridge life for over 800 years. The first mention of the church is in 1205, when King John presented Thomas de Chimeleye to the rectory, and the first church on the site was built that year. Four years later, Great Saint Mary’s was the first home of Cambridge University when scholars fled Oxford in 1209, and here lectures were given, degrees were conferred and celebrations took place. The church was mostly destroyed by fire on 9 July 1290. At the time, the fire was blamed on the Jewish population in Cambridge. The synagogue was closed, all 5,000 Jews were expelled from England. The old synagogue in the centre was given to the Franciscans, who had their main house of Cambridge on the site of Sidney Sussex College. Great Saint Mary’s was rebuilt, and in 1303 the University ordered that a special sermon should be preached at Great Saint Mary’s four times a year. The tradition of the University Sermon continues to this day. During its early years, Great Saint Mary’s was the property of the crown. But in 1342 the land passed to King’s Hall, founded in 1317 and one of the predecessors of Trinity College Cambridge. Ever since, the site has been owned by Trinity College. The new church was consecrated in 1351, and since 1352 it has been known as Great Saint Mary’s. In the Middle Ages, the church became an official gathering place for meetings and debates for Cambridge University. The present church was built between 1478 and 1519, and the building costs were met largely by King Richard III and King Henry VII. King Henry VII donated 100 oak beams for the roof. The oaks came from Chesterford Park, near Cambridge, which belonged to the Abbott of Westminster, John Islip, and Henry VII had to apologise to the Abbott for cutting down his oaks. Great Saint Mary’s played a leading part in the English Reformation. Many leading figures of the day preached here, including Erasmus, Thomas Cranmer, Hugh Latimer and Nicholas Ridley. Martin Bucer (1491-1551), who was Regius Professor of Divinity in Cambridge from 1549 and who influenced Cranmer’s writing of the Book of Common Prayer, was buried here when he died in 1551 as a reaction to the damp fen climate. During the reign of Queen Mary I, Bucer’s corpse was burned publicly in the marketplace. Great Saint Mary’s was condemned for harbouring the body of a heretic, and the churchwardens had to buy frankincense, sweet perfumes and herbs for a ceremony of reconciliation before the church could be used for services again. 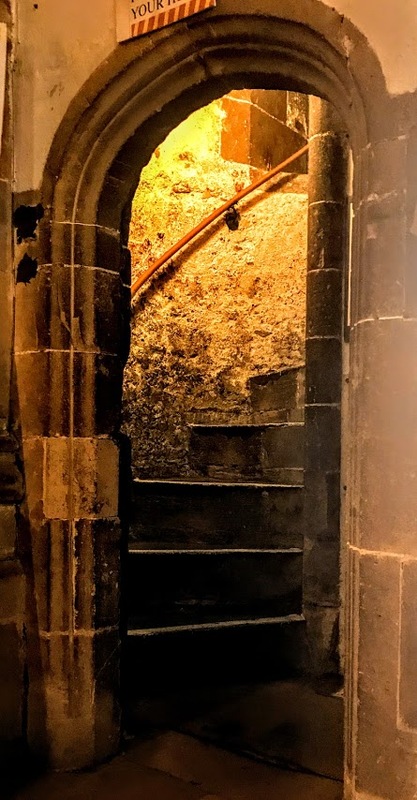 However, in Elizabeth I’s reign, the dust from the place where Bucer was burned was replaced in the church in 1560 and now lie under a brass floor plate in the south chancel. After the Reformation, Great Saint Mary’s became an important centre of preaching, and galleries were erected on all four sides to accommodate members of the university who were required to listen to formal sermons. The church tower was completed in 1608, and the font dates from 1632. A Trinity don flew into a ‘greate rage’ when the Puritan churchwardens removed the altar steps in 1641. Royalist academics complained that Cromwell watched as his soldiers ripped up the Book of Common Prayer in the church, and Cromwell’s ‘multitudes of enraged soldiers’ vandalised the elaborate choir screen. 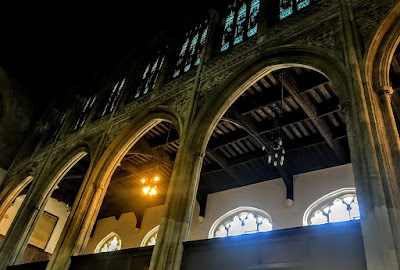 For the next 200 years, the Puritan faction dominated at Great Saint Mary’s, and galleries turned the church into a hall for preaching, centred on an imposing triple-decker pulpit. The University Organ, bought from Saint James’s Church, Piccadilly, in 1698, was built by the renowned organ builder ‘Father’ Bernard Smith (ca 1630-1708). 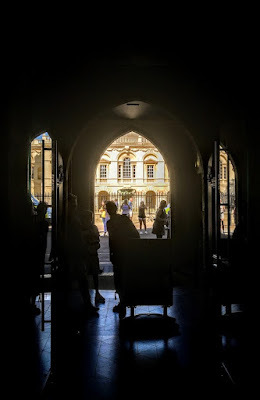 The bells were replaced in 1722, and the Society of Cambridge Youths, formed in 1724, claims to be the oldest bell-ringing society in Britain and the second oldest at any church in the world with a continuous ringing history. The church continued as a venue for meetings and debates in Cambridge until 1730, when the Senate House was built across the street. In 1732, Great Saint Mary’s became the datum point from which the first English milestones were measured. During the 18th century, the whole church interior was transformed, and the church was restored by James Essex in 1766. When Henry VII’s oak roof showed signs of decay in 1783, a supplementary one was built a few feet above the original and the two were tied together. The architect Sir George Gilbert Scott (1811-1878) carried out restoration work in 1850-1851, and soon after was involved in restoring Little Saint Mary’s on Trumpington Street. He was followed at Great Saint Mary’s in 1857 by Anthony Salvin (1799-1881). 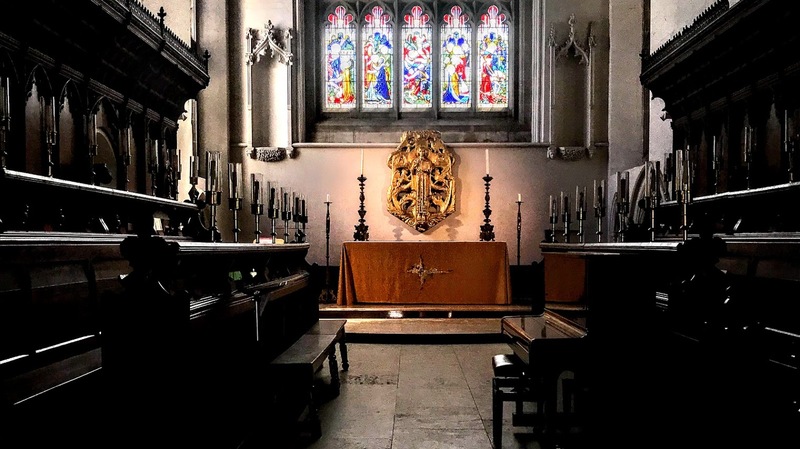 From the 1860s, stained glass and a raised High Altar returned to Great Saint Mary’s, bringing colour and ritual back into the Anglican worship there. The interior was re-arranged with a new carved choir stalls and fixed pews, and the north and south galleries were removed, although the west gallery still stands. The stained glass in the east window depicting the Nativity of Christ was installed in 1869 and is the work of the Chance Brothers in Birmingham, who specialised in adapting the colouring techniques used by mediaeval glaziers. 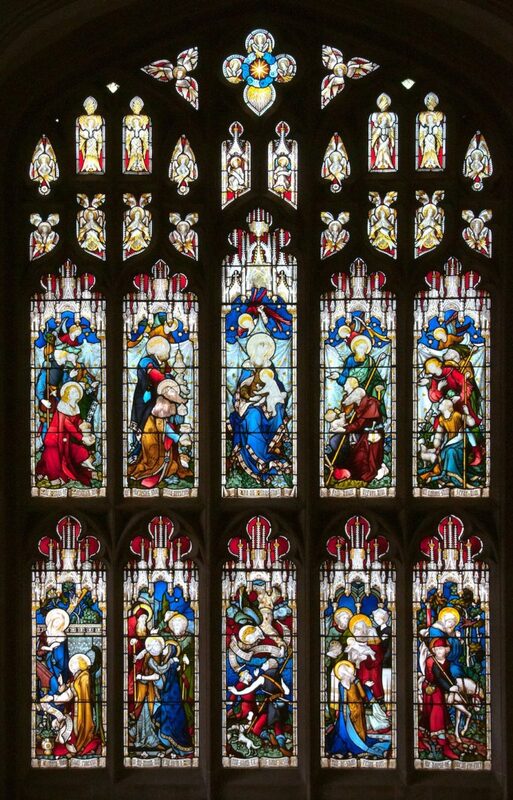 Other stained glass by Hardman was added in 1867-1869. The south porch was rebuilt in 1888, and there was further restoration work in the 20th century. The golden sculpture above the High Altar, the Majestas Christi, the Majesty of Christ, was made in gilded wood by Alan Durst in 1959 and was installed in 1960. Its imagery draws on the Book of Revelation. Christ stands in front of the cross as the tree of life, his hands and feet are marked by the wounds of the crucifixion and around him are the lion, ox, man and eagle, symbolising the four evangelists, while Christ treads on a serpent. The Latin inscription on the book in Christ’s left hand means, ‘The leaves of the tree for the healing of the nations’ (Revelation 22: 2). Great Saint Mary’s continues to play a role in the life of the University of Cambridge. 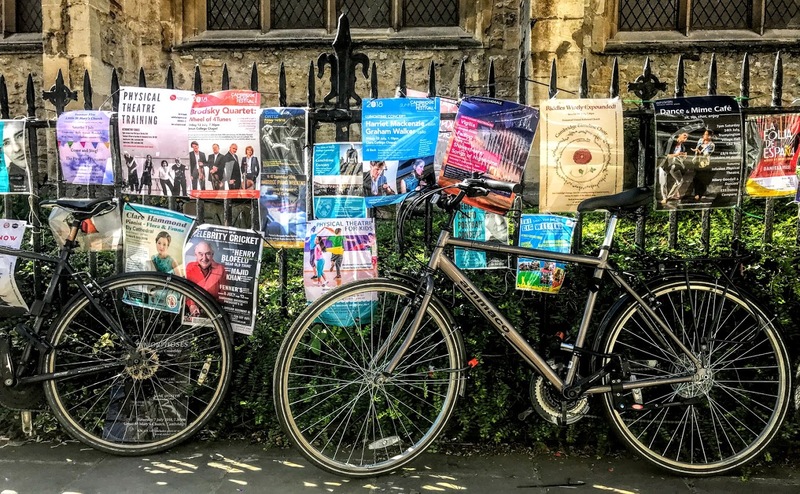 University officers must live within 20 miles of Great Saint Mary’s, undergraduates within three miles, and the church hosts the University Sermons and is home to the University Organ and the University Clock. Saint Mary the Great is unusual in housing two self-contained pipe organs, a Parish Organ in the chancel, built in 1991, and the University Organ in the West Gallery. The University Organ was rebuilt by William Hill in 1870. Great Saint Mary’s is one of the few churches were a double organ concerto can be performed. The University Clock chimes the ‘Cambridge Quarters,’ later used by Big Ben. The old ring of bells was replaced in 2009 with a new ring of 13 bells cast by Taylors Eayre and Smith. Some of the original bells have been retained to continue sounding the Cambridge Chimes. The funeral of Stephen Hawking (1942-2018), the theoretical physicist, was held in Great Saint Mary’s earlier this year before his ashes were interred in Westminster Abbey. Great Saint Mary’s stands in the Liberal Catholic tradition of the Church of England, and it is a member of Inclusive Church. The mission of Great Saint Mary’s includes the Michaelhouse Centre and Chaplaincy in Trinity Street and the chaplaincy to the non-collegiate members of the University. Past Vicars of Great Saint Mary’s include Mervyn Stockwood, later Bishop of Southwark, Hugh Montefiore, later Bishop of Kingston and of Birmingham, Stanley Booth-Clibborn, later Bishop of Manchester; Michael Mayne, later Dean of Westminster Abbey. David Conner, later Bishop of Lynn and then Dean of Windsor; and John Binns (1994-2017), now a Research Associate at the Centre of World Christianity at SOAS in London. John Binns was a founding director of the Institute for Orthodox Christian Studies in Cambridge, where he remains a Visiting Professor, and has strong links with the Ethiopian Orthodox Church. Canon Adrian Daffern has moved from Woodstock and Bladon in the Diocese of Oxford as the new been Vicar of the University Church of Saint Mary the Great with Saint Michael, Cambridge. He was instituted and inducted to his new post on 5 September 2018. This feature was first published in October 2018 in the ‘Church Review’ (Dublin and Glendalough) and the ‘Diocesan Magazine’ (Cashel, Ferns and Ossory).